Ultimate variety at your fingertips!We’ve included the best-selling fonts from every main aesthetic in the font world. 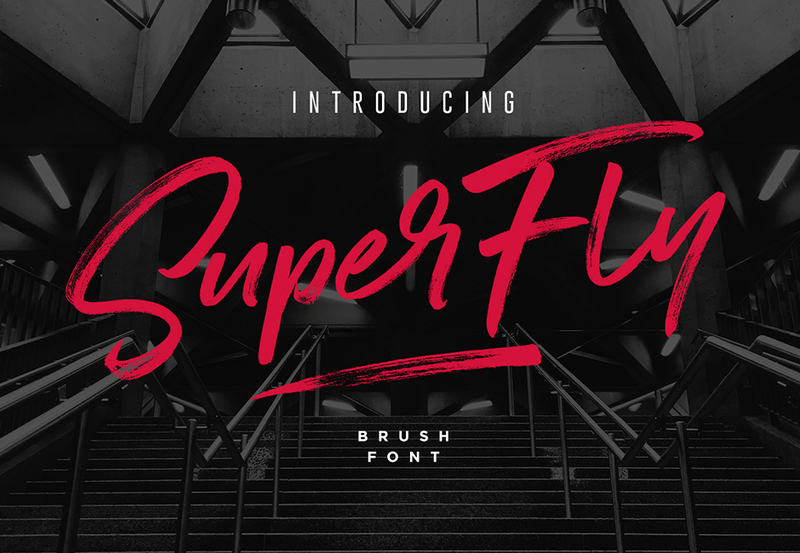 Whether you’re working on a bold graphical poster, an elegant menu, a clean website design or retro artwork, this collection is packed full with gorgeous fonts to cover you for any project. Finding great font combinations just got easier, as the fonts in this collection have been carefully curated to compliment one another. Use your new fonts with confidence, under our extended licenseThis means that you can even use your fonts in commercial work available for sale! Check out the full license details here. Hanley Font Collection from District 62 is a group of fonts that consists of 9 font files and 2 Extras fonts that work extremely well together for an authentic vintage look with a modern vibe. It features letterforms with just the right amount of irregularity to the edges and rounded corners to give a warm, human feel, that creates a sign-painterly, hand-drawn feel that still looks clean. Hanley is extremely versatile, it can look fresh and modern or authentically vintage. We think this group is perfect for logos, restaurant and cafe branding, typographic designs, signage or any project where you need a fresh take on a vintage look. • 11 font files with .OTF and .TTF versions for each: Hanley Script, Hanley Block Display, Inline and Inline Only, Hanley Sans, Inline and Inline Only, Hanley Slim Sans and Slim Serif and Extras1 and 2. • Includes two sets of extras that have comprehensive catchwords, swashes, frames and ornaments to compliment your designs. These are assigned to keystrokes or can be accessed through glyphs window. • 1 Font that contains only the swashes from Hanley Script for customers using software that does not support Open Type features. • Western European language support. Designed by Daniel Hernández and Paula Nazal. Corrections and review by Alfonso García and Rodrigo Fuenzalida. Trenda is a geometric sans-serif typeface based on the uppercase of Trend – a Latinotype font, released in 2013, that was very well received. This new typeface comes with a wider character set that offers a complete family of uppercase and lowercase in different weights. Trenda is a versatile easy-to-use functional display font with a strong personality, especially its uppercase, which makes the designer’s work easier. Trenda’s lightest and heaviest variants are ideal for display use while its middle weights work well with short and mid-length texts. This typeface has been designed especially for corporate projects, logotypes and publishing. Trenda comes in 8 weights, ranging from Thin to Heavy, and includes matching italics as well as small caps and alternates. The family contains a 634 character set that supports 206 different languages. Estampa Script is a 5-weight script typeface, designed by Sofia Mohr, with high contrast between thick and thin strokes, and teardrop terminals that remind us of Didone typefaces. These elements are the main feature of the font and give it a very strong character. Estampa Script is well-suited for clothing, interior design, branding, packaging, advertising and publishing design. Javiera is a geometric sans-serif typeface with humanist attributes. One of its main features is its small x-height, which makes ascenders and descenders look longer. The contrast gives the font a more stylised look, typical of humanist fonts. Curves and rounded terminals make Javiera a smooth, friendly and versatile typeface, well-suited for branding, magazines and publishing projects. The user can take advantage of the versatility of the font by enabling alternative characters included in the set. Javiera comes in 6 styles—from Thin to Black—plus matching italics, giving a total of 12 fonts. The font’s extreme weights are perfect for display use. Javiera family contains a set of more than 400 characters and supports over 200 different languages. All families of Marschel including Marschel Basic, Display and Pro in one pack! Marschel Family is crafted with love in every detail, with unique curves. This creates the high-class impression on any letters that form, for everyone that is passionate about classy, vintage, fashionable and fabulous things. Marschel Basic consists of 291 total glyphs and comes in 3 different weights, Light – Regular – Bold. All glyphs are divided into several OpenType features such as some astonishing special characters that form into Ligatures and contextual alternates. Marschel has multilingual support for more than 60 languages. Marschel Display consists of 3 styles; Inline, Stencil and Printed with uppercase, numeral, punctuation, symbol and unique ligatures that will make your designs standout and bring a charming and unusual feeling, each with it’s own unique personality to suit the look you are after. Marschel Pro is packed full of amazing stylistic sets and characters that will improve your designs and make it feel unique. It consists of more than 400+ glyphs including special characters, unique ligatures and allows you to mix and match the pairs of letters. It’s perfect for weddings, headline, movie title, logos, branding, invitations, quotes, social media, websites, magazine and so much more. This typeface offers numerous combination possibilities between the basic glyph set and stylistic sets. URW Geometric is a sans serif typeface inspired by the German geometric typefaces of the 1920s but designed for modern usability. The character shapes have optimized proportions and an improved balance, the x-height is increased, ascenders and descenders are decreased. Special glyphs, which are often designed afterwards for the original geometric typefaces from the 1920s, are perfectly integrated in the URW Geometric. These design characteristics increase the usability and legibility tremendously. With its 10 weights ranging from Thin to Black, plus 10 additional oblique styles, it has a great versatility in mind. The extreme light styles shine bright in large sizes, the middle weights are perfect for body copy and the bolder variants to emphasise information or bring a strong impact on headlines and information. The optically balanced styles are designed to work in perfect harmony together. URW Geometric is functional, strong, simple and harmonized in form, and at a glance appears as a modern variant of its predecessors. Apart from the basic characters, the design has an extra focus on the special glyphs. These are designed for today’s needs. For example, the email glyph looks modern and unique, including a perfectly balanced spacing. The numero sign, in modern use called “hashtag”, is space saving and optically balanced for body text. Additionally, various extra and alternate glyphs are designed to provide a friendly usability. Including a wide Latin language support and character sets, URW Geometric is perfectly designed for today’s requirements. Please have a look at the URW Geometric Type Specimen (.PDF) for further information. Language Support: Afrikaans, Basque, Breton, Catalan, Croatian, Czech, Danish, Dutch, English, Estonian, Finnish, French, Gaelic, German, Hungarian, Icelandic, Indonesian, Irish, Italian, Latvian, Lithuanian, Norwegian, Polish, Portuguese, Romanian, Saami, Serbian, Slovak, Slovenian, Spanish, Swahili, Swedish, Turkish (Cyrillic and Greek language support only available in .TTF files). Bouncy, effortless-looking handwriting can put us at ease or make us smile. Blithe captures the casual flair of a felt-tip pen with clean monoline strokes. Laura Worthington has retained the distinctive quirks of real handwriting – such as characters that dip and dance about the baseline – and imperfectly varied letterforms (see the “ee” ligature, and lowercase “o”s that don’t quite join, or slightly overlap). As with many of her script faces, Laura includes a wide array of 148 ligatures and 47 alternates, to create even more convincing connections, all in the service of authenticity. Blithe is ready to welcome readers of cute Instagram posts, cupcake menus, baby clothing – anywhere that calls for gentle charm. Classy, calligraphic, and confident. Yana’s classical proportions convey worldly sophistication and experience. Yet unlike staider classical faces, Yana’s concave terminals and elegantly flared serifs suggest romance, mystery, and a touch of Victorian extravagance. Rig Shaded is a 3D type family with a geometric sans serif at its heart. As its name suggests, Rig is designed as a framework to support a range of striking 3D effects. It has four versatile weights including a unique ‘zero’ weight. Each has two grades of distinctive halftone shading, Fine and Coarse, which emphasize Rig’s solid appearance. Rig developed from my quest to find ideal letter shapes for a shaded typeface while retaining their geometric principles and legibility. Each character has been designed to ensure maximum clarity and harmony when combined with 3D effects. The extrude and shaded styles have been handcrafted to produce a consistent weight and tone. Rig’s character set includes 230 glyphs, supporting 198 languages, including all Western, Central and South Eastern European languages. Please note that we were unable to convert Rig Shaded Light, Medium and Zero Fine into web fonts. Stylistic Alternates will require professional design software such as Adobe Illustrator, Photoshop, InDesign or Inkscape. “Röijer” was born from a branding exercise done with “high care”, graphically developed thanks to the valuable help of designers Marcela Aguilera & Pedro Gonzalez, each letterform and every type design process was worked as a typographic jewel, as a strong bond between classical and fresh concepts (with a Lombardic and Art Nouveau touch). Röijer puts a dual capital model in your hands; a classic Roman and a fresh contemporary alternative, on each letter: the first located in a lowercase box looks formal and sober, while the uppercase box shows a glamorous and more daring look, ideal for being used in specific moments only. Röijer combines elegance and audacity in a very magistral way. It has 2 variants with 541 glyphs each one; a normal and a volumetric one, all with an ornaments set and a decorative objects set. Ideas that are useful not only for branding design but also for titling, headline composition, label design, fashion and luxury. Please welcome the new grotesque family; slightly more geometric than Block Berthold but much softer than the industrial Din Next, Rockeby includes a lot of stylistic alternates and ligatures to help add character to any type of design. The slightly curved diagonal strokes (in letters such as A, V, K, etc) give the sans serif fonts it’s unique personality and soft look. Even more – the family has two scripts (4 weights each) which will enhance the design even more. Combining italics with the script has never been easier – they both have the same italic angle. These scripts also benefit from contextual alternates, slashes and ligatures. And last but not least, the family also includes Extras fonts (which also have 4 weights) which can further enhance any design you are creating. Language Support: Breton, Catalan, Czech, Danish, Estonian, English, Finnish, French, German, Hungarian, Icelandic, Italian, Latvian, Lithuanian, Norwegian, Polish, Portuguese, Romanian, Scottish Gaelic, Slovak, Slovenian, Spanish, Swedish, Turkish, Welsh and all other languages based on Latin alphabet. Woodford Bourne PRO is inspired by the iconic stone cast letters on the façades of the 19th century Woodford, Bourne & Co. buildings in Cork City, Ireland. Woodford Bourne PRO has matured with numerous improvements to make it an even more versatile font family. The fonts have been completely redrawn and spaced, there are now an additional 500 glyphs for you to use across 9 stylistic sets. The additions include underlined caps, small caps, petite caps, catchwords, discretionary ligatures and more. Wild Spirit – A hand drawn script font containing upper & lowercase characters, numerals and a large range of punctuation. Wild Spirit Alt – This is a second version of Wild Spirit, with a completely new set of lowercase and uppercase characters. If you wanted to avoid letters looking the same each time to recreate a custom-made style, or try a different word shape, simply switch to this font for an additional layout option. Wild Spirit Extras – Simply type any uppercase character in this font to generate a swash, or any lowercase character in this font to generate a ligature. (Note – discretionary ligatures can also be turned on in OpenType software, which will automatically switch standard letter pairs into the provided ligatures). • No special software is required to use the Wild Spirit Font. • Fonts are provided in both .TTF & .OTF formats. I recommend installing the .TTF files, and the .OTF only if necessary. There is no difference in function with either format. The Dom Loves Mary Stylistic Calligraphy Font is a hand lettered classic calligraphy script. The font also includes a set of flourishes and ornaments that are accessible in the glyph panel in OpenType capable programs like Illustrator and InDesign. If you are working in Photoshop or Microsoft Word or another program that is not fully OpenType capable, but you would like to have access to all of the extra characters, I have a great option for you! Your download will include both an .OTF (OpenType Font/Format) and a .TTF (TrueType Font/Format). The font is encoded for PUA (Private Use Area). DomLovesMary is named in memory of Dominic and Mary Sementelli, Debi’s in-laws. Dom and Mary were opposites who were truly “made for each other”. A snazzy dresser, Mary was feisty, loved to dance, sing, and be the life of the party. Dom was cool, calm and collected and was happy to shine the spotlight on the love of his life. They balanced each other out in a really great way. Bw Glenn Sans is the result of mixing a grotesque skeleton with traits of the British sans serif tradition. The result is a modern and clean sans serif family that speaks with clarity and authority. It’s contained width makes it a favourite for long texts while its distinctive details come to life when used as display. Designed by Alberto Romanos, Bw Glenn Sans comes in 8 weights from Hairline to Black with matching italics, tabular and old style figures, case sensitive forms and many other OpenType features. Bw Glenn Sans supports Extended Latin, providing designers worldwide with a rich functional palette with that extra bit of personality. Bw Glenn Slab is a confident and robust font family with a sturdy feel offering no concessions for ambiguity. Its strict geometry and open shapes provide a very legible and clean texture, performing well on print and screens alike. It’s also the Egyptian companion of Bw Glenn Sans. They’re the perfect complement for each other, sharing x-height and modulation as both font families were developed in parallel. Designed by Alberto Romanos, Bw Glenn Slab comes available in 8 weights from Hairline to Black with matching italics, tabular and old style figures, case sensitive forms and many other OpenType features. Bw Glenn Slab supports Extended Latin, providing designers worldwide with a rich functional palette with that extra bit of personality. Bodoni Sans is a new classic, built on the foundation of two centuries of history. Fresh and contemporary, while feeling familiar. Stylish and sophisticated, confident and elegant. Bodoni Sans is more than just chopping off the serifs. The classical proportions of the capitals and x-heights were maintained, but the letterforms were rebalanced for use without serifs. Contemporary modifications were made to some widths, as well as an all new Light weight being created. High contrast is the key feature of Bodoni Sans. To maintain this contrast over a wide range of sizes, three optical sizes were drawn: Standard, Display and Text. Contrast adjustments were made for each optical size for optimal performance. The Standard was designed for the mid-range of 12 to 60pt, Display for 48pt and above, and Text for 6 to 12pt. Web/Digital use was also considered while developing Bodoni Sans. The fonts were tested as web formats, and examined on a variety of screens, to ensure seamless use in both print and digital applications. The Humber font was made with classic taste combined with moderns script. 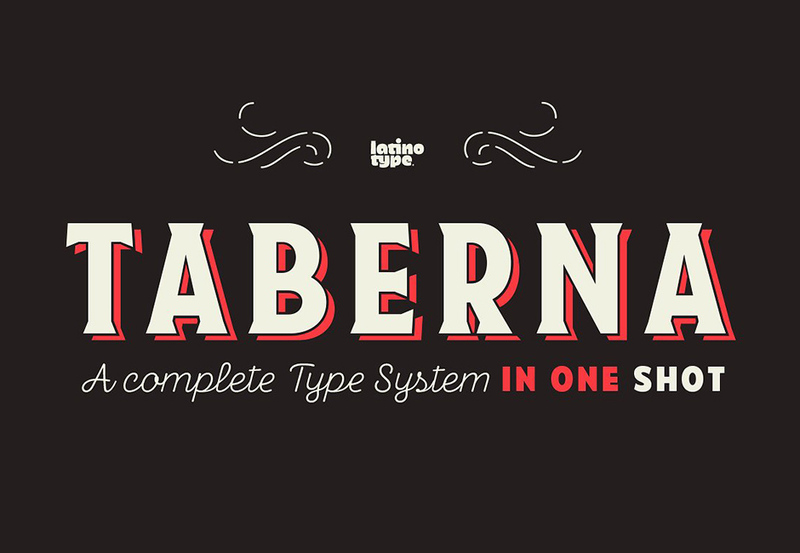 The combination of those styles delivered us the beauty of this typeface. With the ‘OpenType feature,’ this font gives you so many options to create something unique. The Humber Font is a great choice for your logo design, clothing, posters, vintage design etc. The shadows shown in these graphics are only for presentational purposes, they are not part of the font. Each weight includes extended language support, ligatures and more. Acherus is incredibly useful for nearly any creative design. 19 versatile, essential, popular font families (featuring a total of 233 individual fonts), perfect for adding professional typography to your design work. We are now offering a ‘quick install' file, to be found as a separate download. This allows you to install all desktop fonts included in this bundle in just one step. I know it’s been forever since this collection came out, but I wanted you to know that they are still my go-to typefaces the overwhelming majority of the time! A perfect face for whatever I need to say! Thank you so much as always! Thank you so much for your super lovely comment, your support really means the world to us and it’s awesome to hear that this bundle is such a go-to for so many of your design projects, this really is music to our ears! We hope that you continue to get greta use out of these, happy designing! A colleague purchased this bundle for the company I work for. I’m a little late in the game as I only just saw all the great fonts included in this set and would love to get a set for myself. I realize this is expired but is there any way to purchase it late? 🙂 Thank you! I am really sorry to be the bearer of bad news, but the Essential Popular Fonts Collection can’t be purchased now I am afraid! As we now have our marketplace, we will no longer be featuring our older bundles as re-runs in conjunction with our new bundles. I’m so sorry to disappoint you! Hi, I am keen to buy this bundle however my Mum passed away and I haven’t been feeling up to much. If the deal could be offered I can pay straight away. Please let me know. Thank you ever so much for taking the time to leave us a comment. Dear Design Cuts – also missed this deal as I was in the midst of moving. Could you kindly let me know if there’s any chance I can still get this deal please? Many thanks! Thank you so much for your comment and we all hope that the move went really well! Will you have this group for sale in the future, I was in the hospital right when it expired and my intention was to get this set. I would love to have another try at it. Thanks so much for the comment and I am so sorry to hear you were in hospital- I hope you are doing better now! Unfortunately we don’t re- run our bundles any more but if you were keen to still grab this one, as the bundle is only newly expired, I should be able to help! I have sent you over an email with some more info! I have been away and I have also missed this great offer in my absence, is there any possibility of extending it for another few days please? I can help out with this :). I hope you got away somewhere nice and whilst we cant extend the deal, I may be able to help out with a late payment seen as it just expired! I have popped you over an email to help out! Is it too late to still get this great deal?? Thanks! Have I missed this, I have been having issues with my webmail and mail server and have missed lots of emails. I have just finally got onto the site and it is saying deal expired. Is there noway to still activate this deal? Hello, I love the font collection but I am new to this and I don’t understand how to install both the Desktop and Web formats. When I drag them over to my Mac Fontbook – Fontbook acts like they are duplicates and wants to delete one whole version. How do I actually get them both installed? Many thanks in advance! Thank you so much for your comment, we are so glad that you’re loving these fonts! I need to give my credit to Mr Chris Spooner from Spoon Graphics for referring me to this website. Absolutely love this bundle :P! I will definitely check out other products on your website later this week. Oh yeah, this is a great collection. Right off the bat, Laura Worthington, Latinotype, and My Creative Land made it into the mix. Just one of those would easily justify the bundle price. The rest are great, too, overall so I’m thrilled. Fonts are huge to me, and these bundles are such a boon to my job. I bought and downloaded the bundle today and already put one font to work! Thank you so much for leaving such an awesome comment and for your purchase! Thanks for another lovely bundle Design Cuts Family – I held out for ages & crumbled at the eleventh hour!! I can’t wait to use these beautiful fonts. Thanks so much for your comment and purchase. Another amazing font bundle. Thank you DesignCuts. Out of curiosity, can I share these fonts with one other person or is it restricted to one user per license? thank you so much for your comment and we are really glad that you’re loving the Essential Popular Fonts Collection! 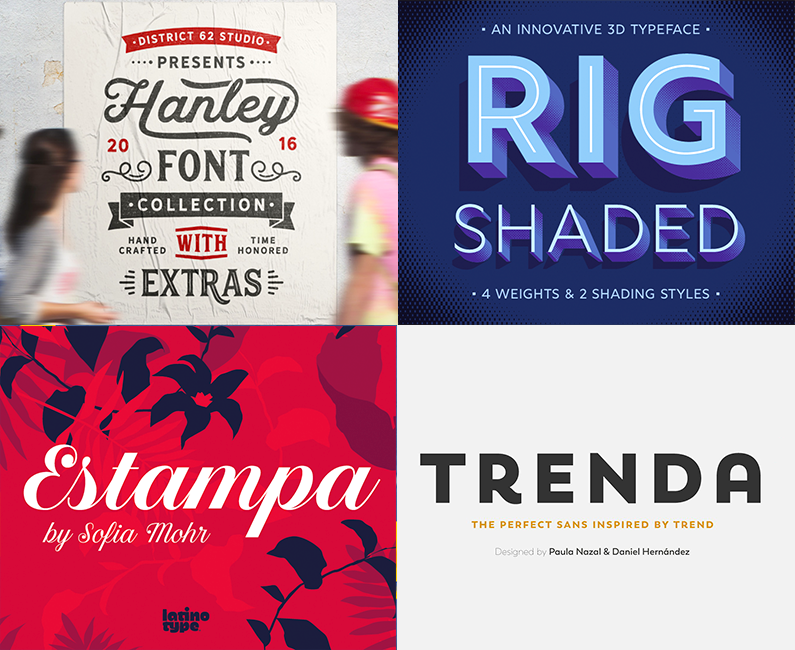 Always the best curated font bundles around. Well done! Wow thank you so much Eric! This is such high praise and we are truly humbled by this comment :). Happy designing and please do feel free to share anything that you create with us as we would love to see what you are working on! 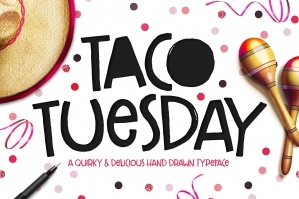 I couldn’t resist this one – so many amazing fonts! You’ll be seeing these on some of my product previews very soon. Oh wow- thank you so much for your support and we can’t wait to see how you use them :). Woohoo for product previews! Thanks so much for your lovely comment and you are so very welcome! Great bundle! It would be nice if you could include more fonts with Greek / Cyrillic support, or even a bundle with eastern fonts would definitely be greatly appreciated! Thank you folks, for this great deal bundle. Very good choice! It is so useful for all kind of actual design works – beauty and clean fonts – very welcome! Good job – good products! Happy and lucky ongoing ! Gratefully greetings from Germany. Wow thank you so much for leaving such a wonderful comment! Your support means the world to us all here at DC. We are so happy that your loving these fonts and welcoming them with open arms 😀 we hope they’ll make an excellent addition to your font library! I sent an e-mail but did not receive a response and the time is quickly running out for me to purchase this font deal. May you please confirm that the fonts can be used on wall art, stationery and invitations that are provided to my customers in flattened, printable, digital format. With Word Art, this term is listed under our Do’s and Don’t’s for fonts and you you can use fonts to create Word Art for personal projects or an individual client as long as they are being used as part of a wider design and not as a singular work. Great bundle! I made the purchase. Uhhmm, what is the 20 times download limit anyway? Thanks for your effort DC! Thanks for the comment and we are so pleased you like your new fonts! We have a download limit on our resources for security reasons and to stop our resources being shared illegally. If you are having problems with your download though, please do let me know. Hmmm…says my comment is awaiting moderation. See what you’ve done. We’ll all addicted to DC. Many thanks for continually fueling my font addiction with bundle barrages of pro designed fonts! Please do not stop…there is no rehab for this affliction. Rest assured, we will keep those deals coming! Thanks for the awesome feedback and we hope that you’ll love everything we have to come! Awesome!! This is a great set of fonts! ARIGATOU (Thanks)!!! Thanks for the comment and arigatou gozaimasu! We are so pleased you like the fonts and hopefully you get loads of use out of them :). You should definitely be able to use these fonts in you PSE, however Stylistic Alternates will require design software such as Adobe Illustrator, Photoshop, InDesign or Inkscape. Yet another wonderful collection of great looking and everyday useful fonts mixed in with a few more adventurous typefaces. Design Cuts font bundles are truly head ‘n’ shoulders above any other on the market. No Fluff! Always a great mixture of “For Sure I Can Use That Today” fonts mixed in with more creative possibilities that will make you push yourself outside your designer comfort zone into experimenting and growing with your collection of resources. Great Job Guys & Gals !!! Oh thank you so much for leaving such a lovely comment! I really tried to resist, really, I did. It’s not the best time for me fund-wise right now but I think your font deals must be designed by the Borg because, as they say, “Resistance is futile”. Sigh ( but in a happy way)…time to hit the buy now button. Hello, yesterday I bought this deal. if any font has an update, can I get the updates or not? example: Harley has new updates 8 bonus logo template (I checked on creativemarket), but in this bundle, hasn’t yet an updates. sorry for my bad english, and thank you. Sigh. Two bundles in a row that I really tried to resist. Trying not to buy texture and vector bundles is hard enough. But all of my inner strength means nothing when it comes to your amazing font bundles. I’ll just have to accept my weakness I guess. I checked the licensing page and couldn’t find anything specific about dos and donts about font usage for typographical posters. What are the dos and donts for type usage for typographical posters which are not meant for mass sale but for promoting events? Thanks for the comment and please always reach out with any licensing queries you may have! Our licensing covers the most popular do’s/ dont’s that we get asked on a regular basis but we totally understand that everyone’s needs are different so we are always here to help out with that! So you can definitely use your fonts for a promotional poster for a concert as long as you are using them within your original design- you would need to ensure that you are the only user working with the fonts as all our licenses are single user only and you would also need to ensure that if you are creating the posters for a company, that the company do not exceed our $25million USD cap! Carol, thanks for the clear explanation in our email convo. i want to review this deal on my site but i see that ends soon, the price after will be? Thank you so much for your comment and for wanting to review our latest bundle on your website! Amigos de Design Cuts: la familia URW Geometric SÍ incluye soporte a cirílico y griego (aunque solo está en formato TTF y no OTF). Corregid la información de esta familia, puede ser útil a los interesados. We super appreciate you taking the time to let us know and my sincerest apologies that this slipped by us! Loving the awesome mix in this bundle, along with those superb sans fonts! Thanks so much yet again, my DC Superheroes! 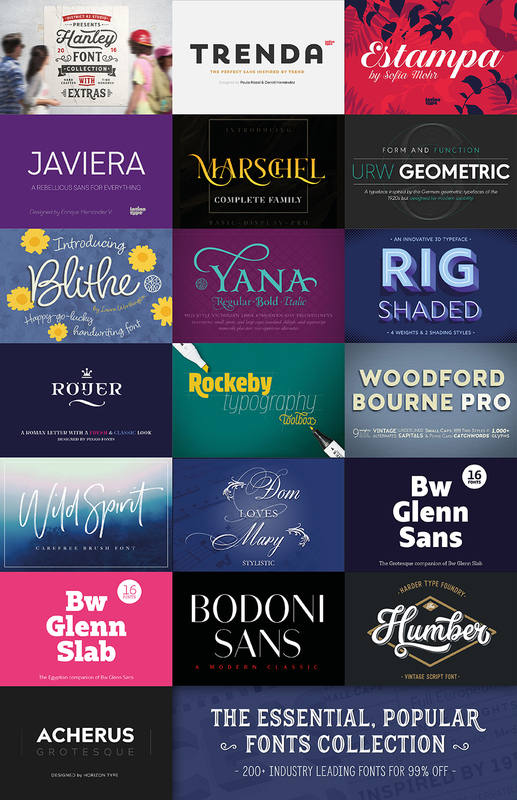 We are so happy that your loving the fonts included in this bundle! Hi! Thanks for making this bundle, it have fonts of my interest – less handwriting, more geometrical 🙂 However there is some misinformation about polish glyphs. Blithe, Wild Spirit Font and (unfortunately) Hanley pack does not support polish. For me it is not a big loss, and I’m pretty sure it is too much job to check every single font if it support all languages from description, but if such gems like Trenda, URW or BW Glenn would lack polish glyphs (despite polish in description) I would feel cheated 😛 Apart from that – great job again! I figured out that my font-viewer app have some kind of bug and didn’t show Blithe and Wild Spirit polish glyphs, they appear in Illustrator though. So only Hanley family seems to lack this glyphs. Thank you so much for your comment letting us know that you were able to find these in the end. We super appreciate you taking the time to bring this to our attention! DC Team… ONE word.. FONTABULICIOUS!!! An excellent mix of bold and beautiful fonts indeed. Lots of possible application for them. Just WOW!! DC font bundles are getting better and better. Keep it up guys. I’ll get my hands on the fonts once I’m done with my job trip. Can’t wait. I can’t imagine the efforts involved in putting this bundle together, as the other past bundles. One thing I know is that I can’t even think of expecting to get anything less from you guys. I appreciate all the hard works you guys have been putting for all members of this great DC Nation (Hey what do you know? We are now a nation of creatives!! Yeah!). In each bundle, I learned a lot of different things and that have led me to have fun and be creative in using resources. Well, thank you yet again Team DC… and thanks to all the fabulous font crafters for their fine creations. This is a DEFINITE 5-STAR bundle from me as always. I’m really sorry that you missed our previous few font bundles, but we are so glad that you were able to get a copy of this one 😀 I hope it makes an excellent addition to your font library and that you’ll get loads of use out of them. Hi, can I also find out more about the “One-time Client Projects”? 😱 thank you so much for your incredibly kind feedback! Oh. My. Goodness. Design Cuts, well done on this font collection – why, Marshal Pro, Roijer & Estampa faces are alone well worth more than the price of admission for this pack of fonts. And what a surprise of the Bodoni Sans and Yana (which I already own, and love…). Since this FontQueen seems unable to stop collecting fonts, this kit is definitely for me! We are really happy that you are loving this bundle and hope that these do make an excellent addition to your ever-growing font library! There are a lot of font bundles available from competitors but the difference is the Design Cuts team has exquisite taste and design sense, and so the bundles are usually all-star packs with no filler. Looks like another one I’ll need to buy. Thanks so much for your incredibly kind words! I am so excited about these fonts. I am brand new to designing and know these will be tremendously helpful! Do you have any kind of a font tutorial for newbies like me? Oh thank you so much- we are super excited for you to use them too! Thank you so much for your purchase! We are really glad that you loved this one and hope that these fonts make an excellent addition to your creative toolkit. Oh wow! Quite a few of my recent projects have needed font pairings and the holes in my library became apparent. Between the all-in-ones font families and great selection of fonts with multiple weights and stylistic options, I don’t think I’ll have those problems again any time soon. Fantastic bundle- this is my favorite yet. Thank you so much for taking the time to leave such an awesome comment! It’s fantastic to hear that this font collection has been able to fill some gaps in your library and we really hope that you’ll get loads of use out of these. Trenda alone would have been the reason I’d buy this bundle, but omg, Woodford Bourne Pro, BW Glenn Sans/Slab, Bodoni Sans, Marschel–those are gorgeous fonts. Must buy! This is awesome feedback and we are so glad that your loving the fonts included 😀 your support is truly appreciated by the whole team and I. You all read my mind! Thank you!! At this point I just tell myself: “‘Sokay man, you’ll write it off anyway.” One day, I’ll be the flyest hobo under the bridge with the nicest font collection. My beggar signs will be wicked well done. I’ll have one for each season, retro inspired…all that. Thank you so much for your incredibly kind words 🙂 We’re so pleased you’re enjoying this font bundle and we hope it makes a fantastic addition to your creative toolkit! If you ever have any queries, please do let me know. I’m here to help! thats a really cool font collection. Unfortunately, I already have YANA and HANLEY. Is it possible, to get that deal with two other fonts of Set Sail Studios, District 62 Studio or Laura Worthington? Thank you so much for your comment and we are really glad that you think this is a cool collection! I am really sorry to disappoint you, but all of these items come bundled together and we are unable to swap any out for alternatives I am afraid. The reason we are able to offer this combination of fonts is because the have been hand picked for the 2 week sale as $29 USD. If we were to offer the opportunity of switching any products over, they would in fact then revert back to their original prices. My sincerest apologies for any disappointment caused. Such a fantastic mix of fonts! Absolutely perfect for pairing. You guys rock per usual! Thank you so much for your lovely comment 🙂 We hope you enjoy working with your new fonts! Super nice stuff! I don’t download bundles very often, but I couldn’t pass this one, because of the quality! Thank you so much for leaving such a lovely comment and for your purchase! Rest assured, having images in your account page it definitely on our radar and our tech team are looking into this, so we hope to be able to offer something similar soon. OMG! I’ve been waiting ages for a bundle with good sans serif fonts!!! THIS IS AMAZING!! It’s fantastic to hear that we’ve been able to include some of the fonts that you’ve been waiting for! OMG you guys are just feeding my addiction now! I feel excited and guilty and it’s not the Easter Chocolate – it’s your font collection! Money guilt is the worst feeling ever, but so worth it when the product arrives and then all your troubles just float away lol. We really appreciate your support though and hey, it will be the Easter Chocolate guilt soon enough, but at least you can cry into all your awesome new fonts! Purchased, then downloaded it this afternoon and immediately used Laura Worthington’s “Yana” on a design that I had been struggling to find the right font pairing. DC font bundles are the absolute BEST for procuring quality typefaces that include multiple weights/alternates. My glyph panel is feeling the love 🙂 Thanks guys! Thank you so much for your comment & purchase! This is a screaming good deal! While I already own several of the fonts included, the fact is that this price would be great for a single version of just ONE font, so if you think of it in those terms, you get a discounted price on one font, and all of the rest are FREE! Between Yana, Dom Loves Mary, Marschell, and a couple of others you have a great collection for doing invitations, announcements, etc. Love this bundle of fabulous fonts — thanks so much!! Oh thank you, it means so much to us all that you are loving this one too! Great bundle! Thank you so much. Hi, can you precise “one-time client projects” regards to website use? I would like to know the same. Thanks! Can you also send me an email with explaining this. Thanks! I would like to have the explanation as well. Thanks. I almost swore last time I wouldn’t buy fonts anymore, but damn, this is too good to pass! Acherus alone is worth the bundle price. Thanks for the comment and sorry to be tempting you again with our latest offering but fonts are soooo hard to resist and we love us some fonts in DC HQ :). We hope you love working with Acherus and the rest of your fonts- happy designing with your new goodies! Where is the ‘quick install’ file being offered as a separate download? Thanks for the comment on this one and you should be able to see the Quick Install link if you click on the Individual Files button- this will show the individual links for the Desktop fonts, Web fonts and Quick Install. I have popped you over an email to get some more information- rest assured, we shall get this fixed for you! Massive sucker for fonts.. this was an easy purchase! Thanks for the comment! We are total suckers for fonts ourselves and have been super excited to release this one! Thanks for the comment and I am so sorry to disappoint you with the support in this one. Our product team are constantly trying to find excellent quality fonts with a full range of support for our products so my sincere apologies that we were unable to feature Cyrillic/ Russian support within this bundle. We will endeavour to feature more in the future though and please do pop me over any fonts that you come across with the support and we will work on sourcing them for you! My favorite bundles come from you guys – by far! Wow Anna- this is high praise indeed and we are really honoured to hear this :). We hope you love working with all your new fonts- happy designing! Thanks for the comment and we love to hear that we’ve ticked some off the list for you! Ha, I do love your comment about not knowing you needed them :). Please do let me know if you have any other fonts on your radar and we can definitely work on sourcing them for you! 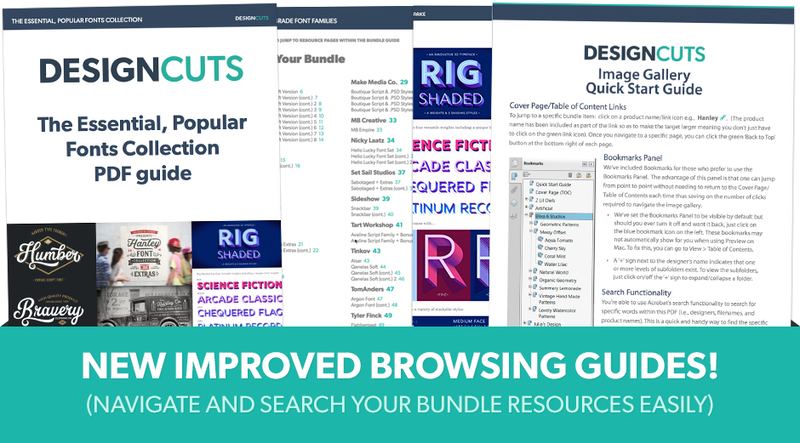 I don’t know how you do it but you always knock it out of the park with your font bundles! Batter up as this one is a doozy :). We hope you love working with this one and please do feel free to share anything you create as we would love to see what you are working on! Gorgeous, gorgeous as always. That Marcel font is to die for. Congrats DC, on a job well done once again. Thank you so much Shrimati- we are so happy you like it! Missed last deal “Totally Diverse Vectors Collection”, $29.00… can you hook me up? Thanks! Well that comment has made our afternoon- we love to hear that they are helpful straight away :). We would love to see anything that you create so please feel free to share anything you create! We are really pleased you like this one 🙂 Happy designing! Uh Oh Paolo…. well we hope though that you have some love for the fonts though :). Hopefully all the use you get out of these ones will restore some love for us! Thank you so much- your feedback really means a lot to us :). We hope you love working with your new fonts! I’ve just bought Trenda… grrrrr. Oh no Ben, I am so sorry to hear that! However hopefully this one will still come in useful for you with the other fonts included! Same here. But it was still worth it! You are welcome DC and we hope this one was worth the wait for you :).